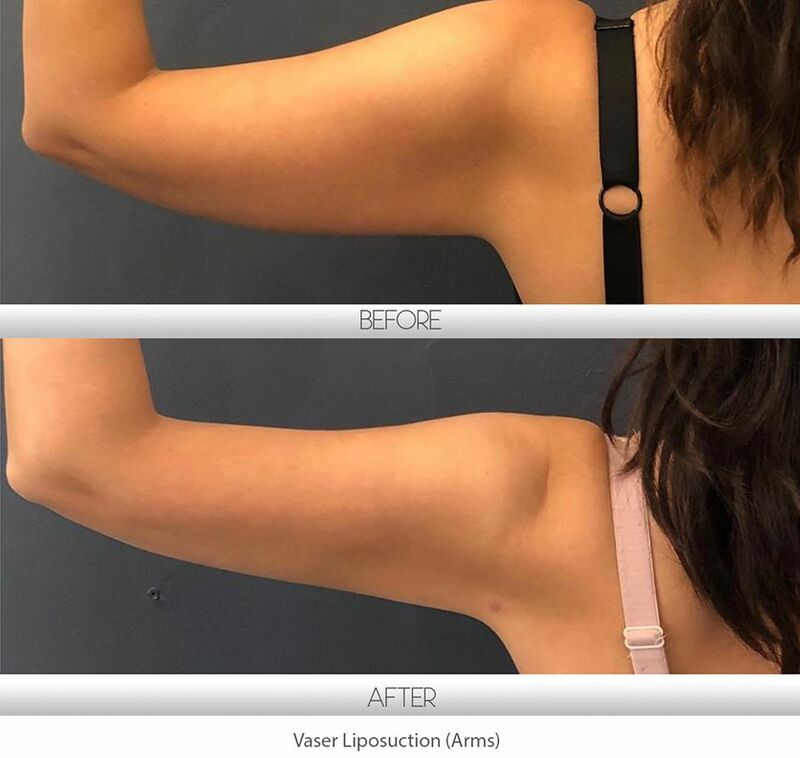 How is the process of Vaser Liposuction carried out? 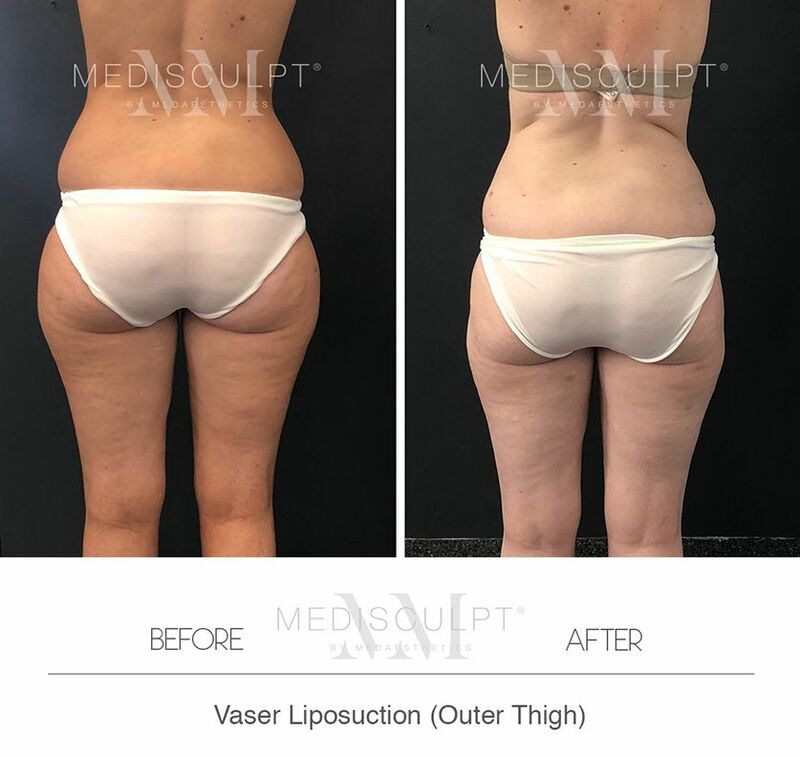 High Definition Vaser Liposuction may help to enhance muscle definition in physically fit individuals with athletic body types. 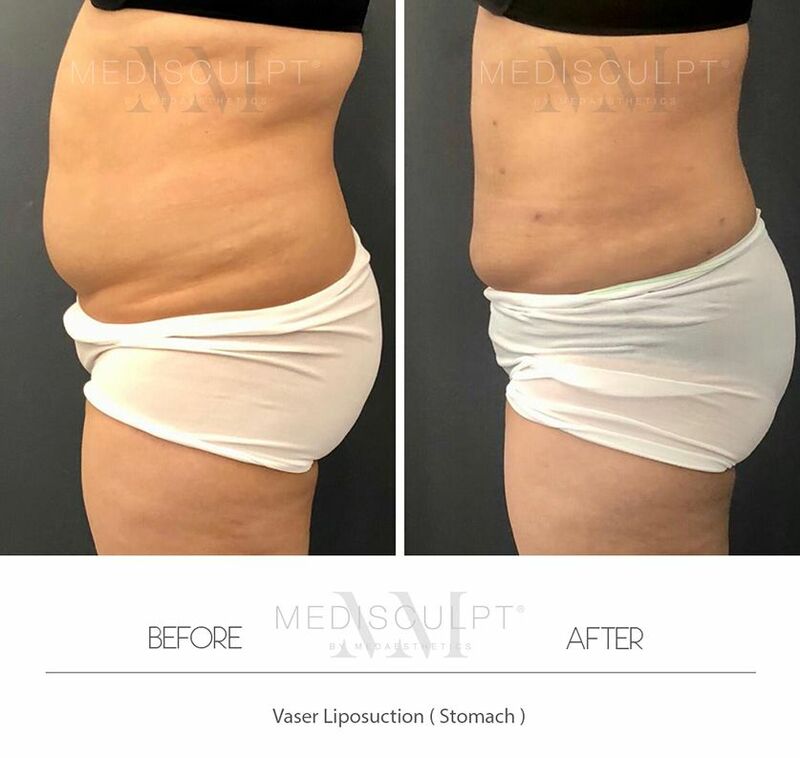 Quicker recovery: Due to the gentle nature of the ultrasound, this form of liposuction is less traumatic and entails less downtime for patients. Skin Retraction: Ultrasonic energy promotes skin retraction, therefore tightening the skin and providing smooth contours. 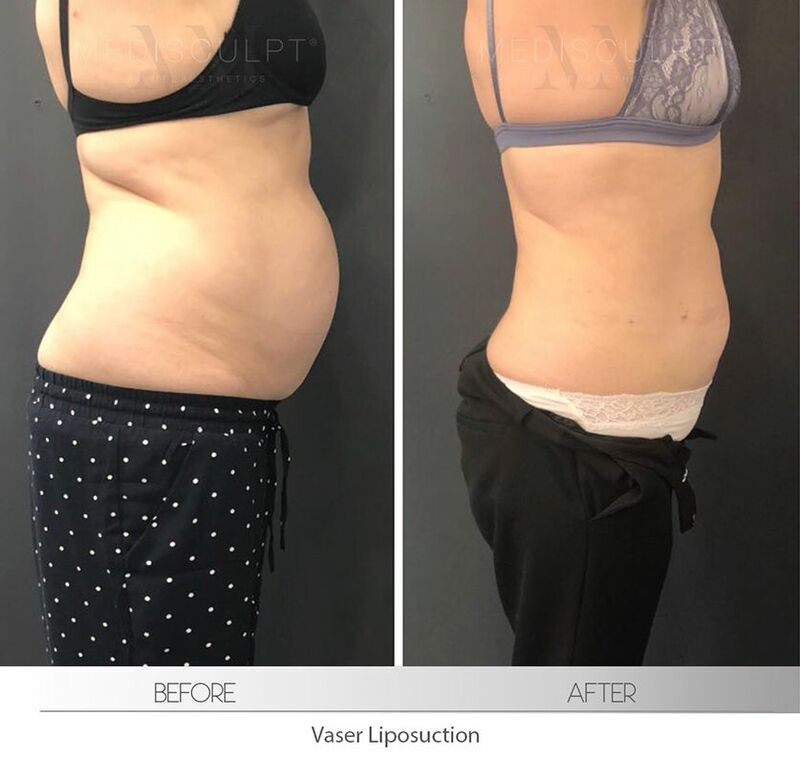 Precision: Vaser Liposuction delivers precise body contouring where both small and large volumes of fat can be extracted from different areas of the body. The result is more accuracy in sculpting muscle definition. 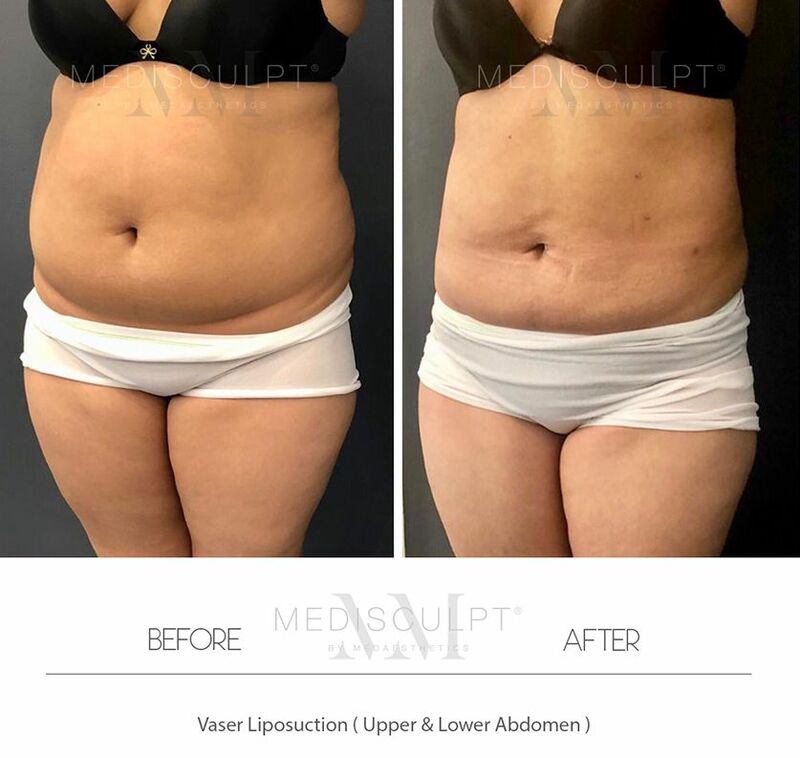 Safe and minimally invasive: A safe, minimally invasive way of fat reduction, this procedure can be performed as a day procedure under twilight sedation. Not only does this avoid the complications that may come with general anaesthesia, but it also allows the patient to be re-positioned during the process. 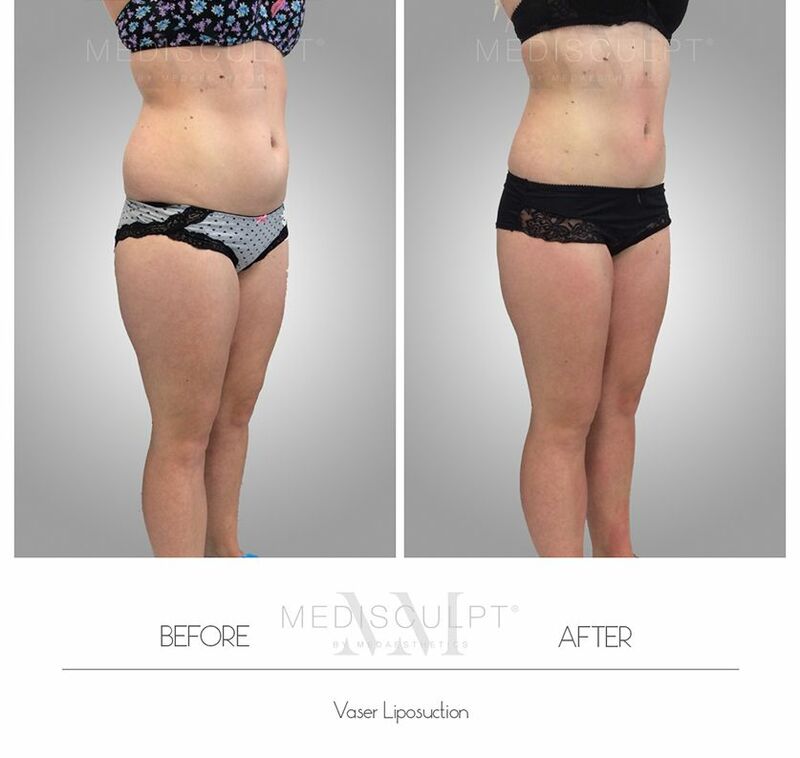 Moreover, liposuction has the additional benefit of kickstarting or continuing a healthy lifestyle. 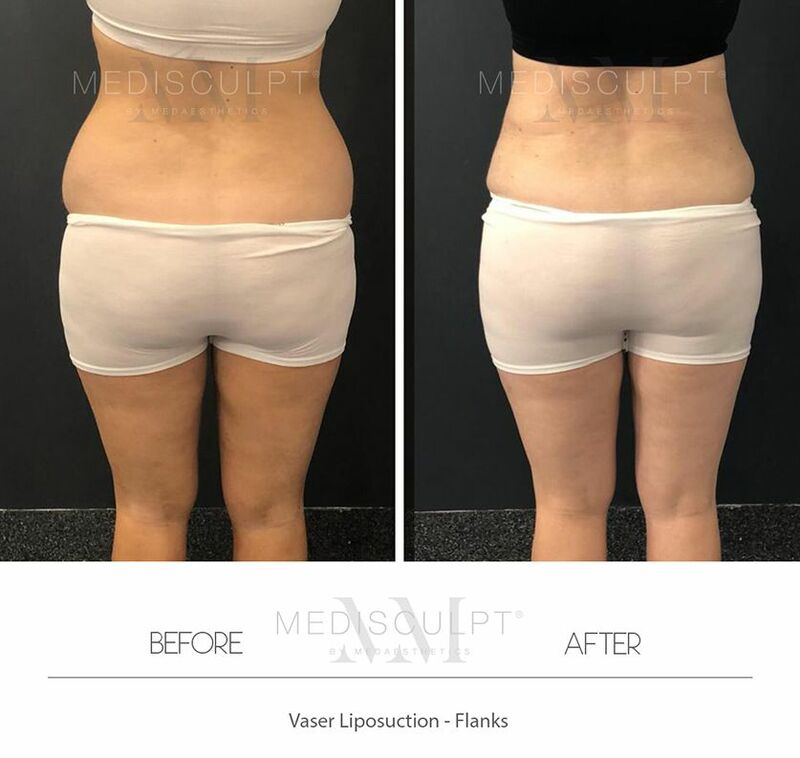 Are the fat cells able to return even after being removed by Liposuction? The exact amount of fat cells in a person’s body remains stable throughout their lifetime. Unless the patient is subject to experience obesity, more fat cells do not grow after adolescence. Once fat cells are removed by liposuction, it is difficult for fat to return in these areas. 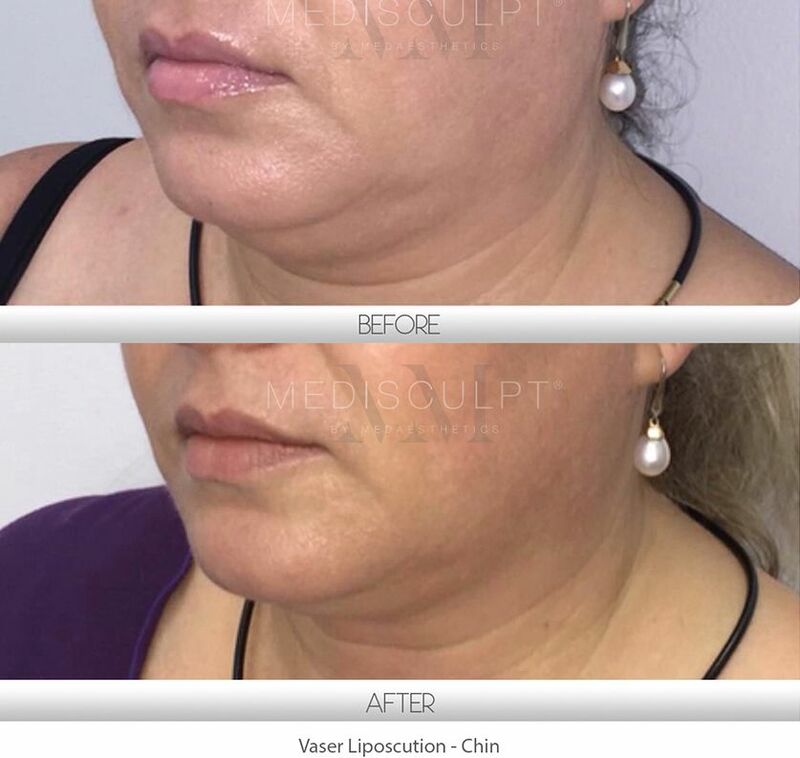 Does this procedure tighten the skin as well? The heat generated by the Vaser Ultrasonic waves causes dermal collagen stimulation in the overlying skin within the treatment area. Clinically, this aids in collagen remodelling and skin tightening. 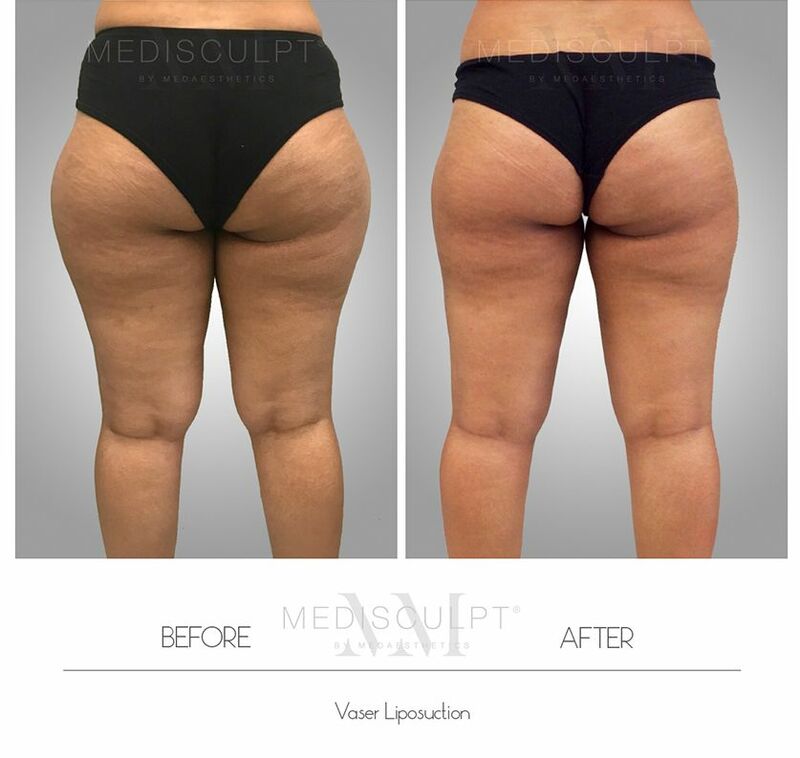 At Medisculpt™, Vaser Liposuction is performed as a day procedure using tumescent anaesthesia. We use the latest Vaser 2.2 platform for optimum results. This depends upon the treatment area and amount of fat being removed. On average, it takes 2 to 3 hours for larger areas such as the outer thighs. The majority of time is spent waiting for the treatment area to be fully anaesthetised once the tumescent solution is infiltrated. 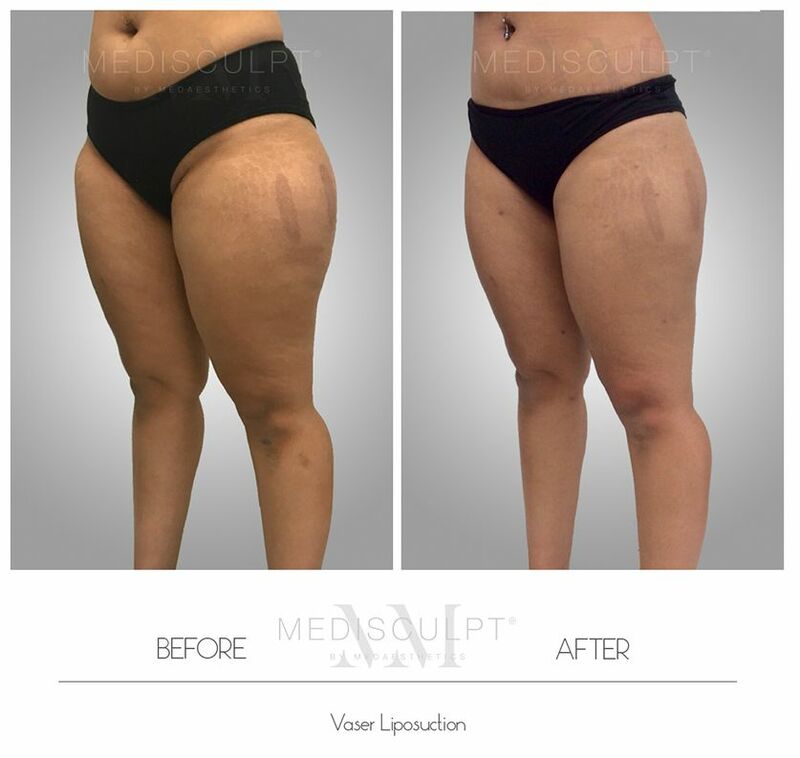 The actual liposuction part of the process is completed within 60 minutes. 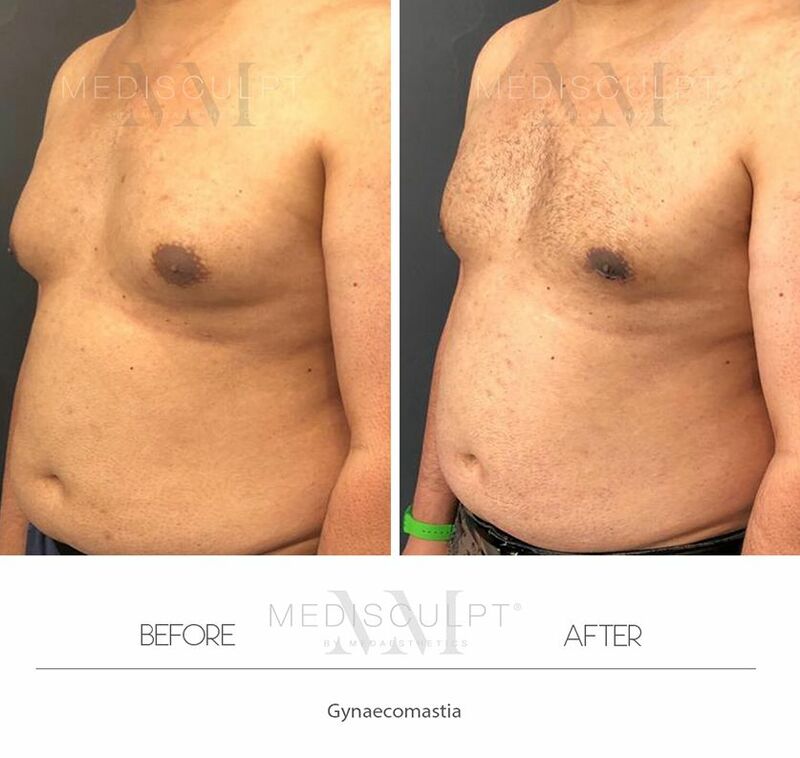 The recovery period varies from person to person and is dependent upon the amount of fat removed as well as the number of areas treated. Generally, the initial recovery takes place over the first 7 to 10 days after the surgery. The swelling and bruising that may follow will subside gradually over the next 2 to 3 weeks. We recommended taking at least 3 days off work after any minimally invasive cosmetic surgery. To recover and repair itself, the human body will need rest. Light walking and daily house chores are acceptable after the first 48 hours. What are other alternative treatment options I may consider? What are the other treatments I can combine with this procedure? Wearing a Compression Garment is paramount in helping with the recovery process during the first 2 weeks. In clinical practice, we have found that a herbal substance called Arnica is helpful in reducing bleeding during or after the surgery. It also aids healing and minimises bruising. This naturally occurring herb is available in the form of oral supplements and is found in most health food stores and pharmacies in Australia. 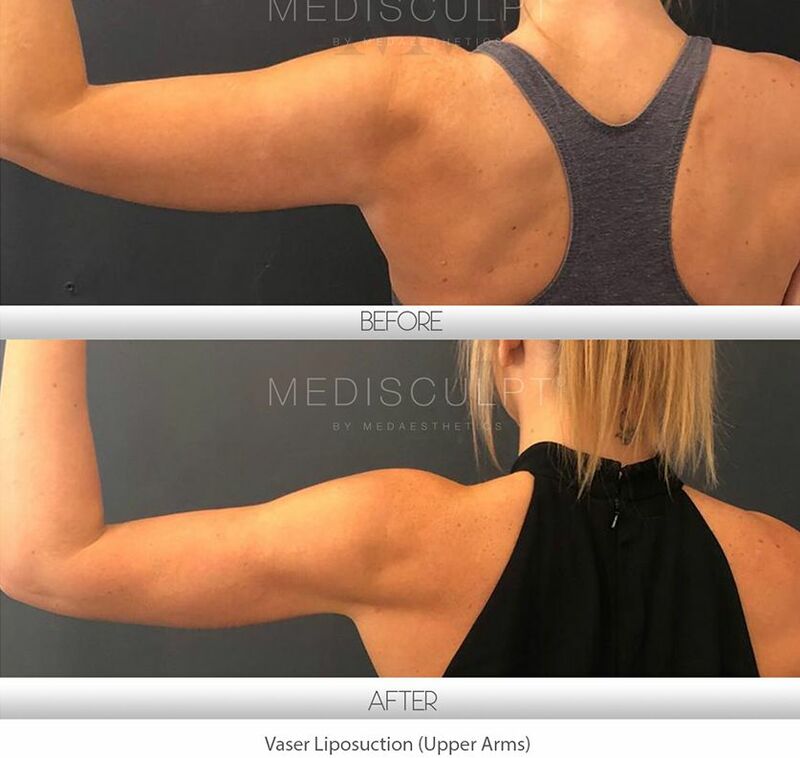 A few sessions of Lymphatic Drainage Massage or Velashape III™ treatment for the recovering areas (approximately 2 weeks after surgery) is recommended to help reduce post-surgical swelling. Are oral painkillers and Prophylactic Antibiotics sufficient in easing post-surgery discomfort? Oral painkillers are adequate in easing any discomfort associated with the postsurgery. Most patients only have to use these from the first 2 to 3 days. Prophylactic Antibiotics may also be prescribed for the first five days to prevent any infection. 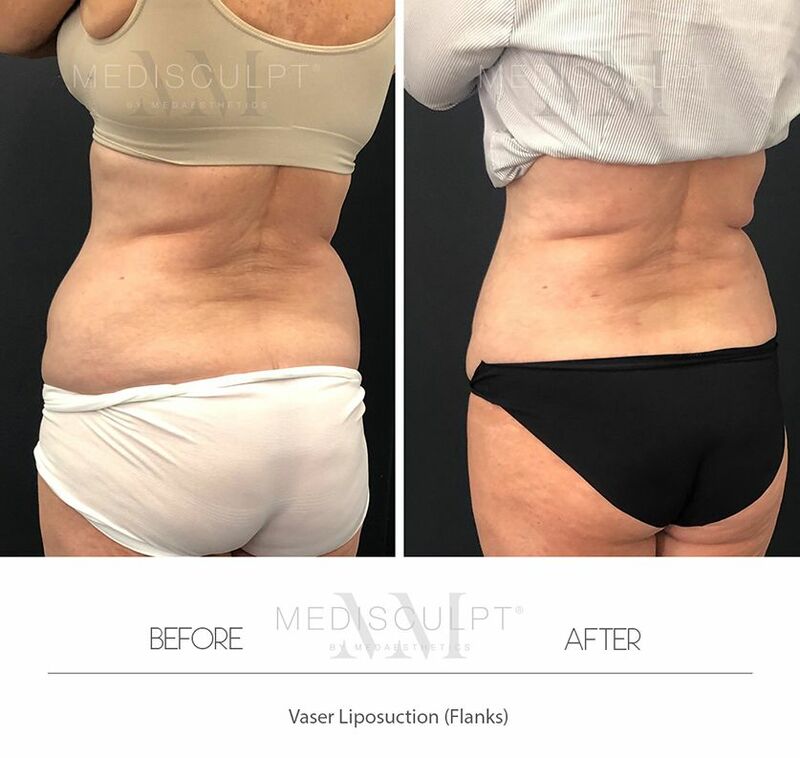 It is essential to wear a compression garment for at least first 2-4 weeks following your Vaser Liposuction procedure. This will help with the healing process and prevent or minimise any potential complications associated with the surgery. 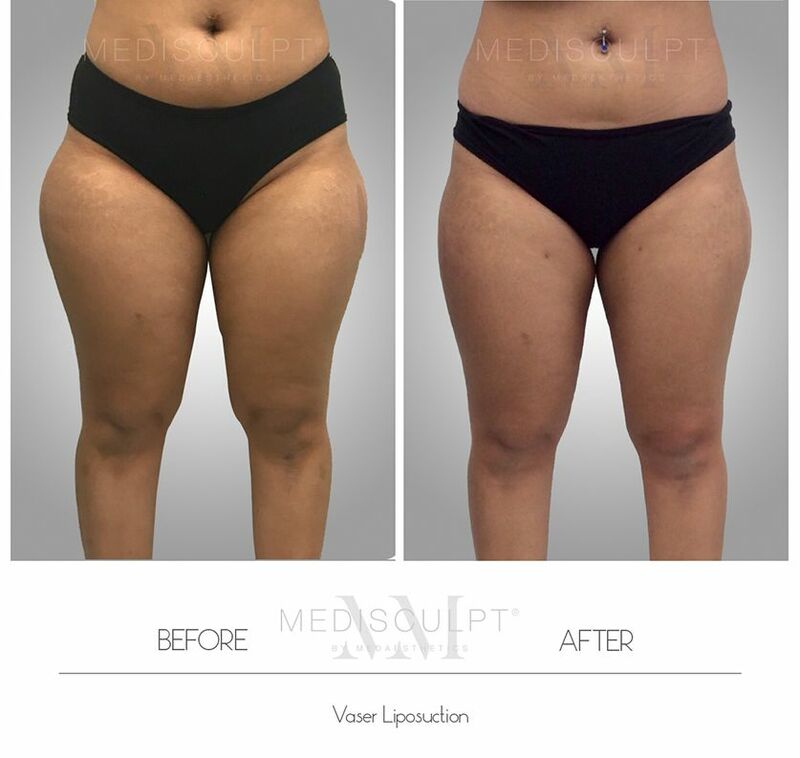 We recommend deep tissue massage after liposuction as soon as the patient can tolerate it. This timeframe is usually two weeks after the surgery. A series of Velashape III™ treatments is an excellent way to help speed up the recovery. To find out more about Velashape III™, please click here. Pricing starts from $4,500 for the first area. Subsequent areas cost $2,500 per area. Our prices are inclusive of theatre fees and all other expenses. There is no charge for up to 3 follow-up appointments post-surgery. Note: Patients will have to purchase their own compression garment, which generally costs around $150.